Wheatberry Books, featuring new and used titles, will open at 41 S. Paint St. in Chillicothe, Ohio. The Gazette reported that owner Chelsea Bruning is aiming for an early December grand opening, "with a soft opening to work some of the kinks out of the operation likely coming in late November. While books of all types, new and used for all ages, will be lining the shelves and serving as the focus of the business, she sees the store as more of a gathering place for families." "I have always had this idea, but I started really digging into it this summer, just in June really, and I just piled it on real fast, lots of research," Bruning said. "It's always been a dream. I feel like it's that way for so many people I've talked to who say, 'I've always wanted to open a bookstore.' Well, I'm going to do it and we'll see what happens." Plans call for "a children's room where kids can play while parents look for books for their little ones, planned regular authors' visits and book signings and other community-oriented activities," the Gazette wrote, adding that Bruning "said the location in that block of Paint Street was a perfect fit." "This block is really an exciting place to be," she noted. "With the (Paper City) coffee shop and the Mighty Children's Museum coming in and the Children's Network next door, this is a very family-friendly place and a great place for kids." Acknowledging that she does not have prior experience owning a business, Bruning said the wealth of knowledge she discovered by reaching out to the community of independent booksellers had helped her tremendously. "Reading and books have always been a passion for me," she added. "We've got a large collection of books at home that I always loan out to people. I really like sharing that passion, so I wanted to bring that downtown. I feel like there's a place for it, there's an interest in it, and it's important to do something that you're excited about in your life." 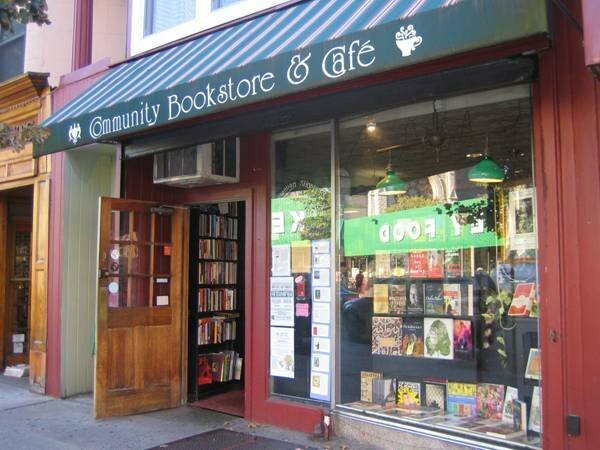 Beginning this Sunday, September 24, the Community Bookstore in Park Slope, Brooklyn, N.Y., will begin selling French-language books from the Albertine, the Manhattan bookstore that's a project of the Cultural Services of the French Embassy and sells French- and English-language books. As the partners put it, the arrangement provides "Brooklynites with access to Albertine's French-language books without the long journey to the Upper East Side." The Community Bookstore and the Albertine will celebrate with an opening party, 5-9 p.m., this Sunday, beginning with story time in French and English featuring Hervé Tullet, whose new book is called Oh! (Bayard Editions) in French and Say Zoop! (Chronicle Books) in English. Afterwards, from 6-9 p.m., appropriately enough, there will be apértifs. Hurricane Maria has left devastation in its wake in Puerto Rico, which is now without power or much drinkable water, covered in debris, with buildings and property damaged, and deeply isolated from the rest of the world. The island already had severe problems with its power grid and had suffered financial crises for some time. Although it's been hard to get much information from Puerto Rico, Juan Peña, v-p of sales and marketing, JR Blue Label Management, a book wholesaler and parent company of the Bookmark, which has several stores near San Juan, reported that the warehouse and office has some damage, which he hopes to have repaired early next week. "Restoring power will take a good couple of weeks/months so I have the duty of finding a generator so that we can operate in the meantime." Peña added that he and his relatives are well. On Tuesday, as the hurricane approached, the Bookmark posted on Facebook that it was closing "for the safety of our employees and our clients" and would reopen when "all systems are restored." 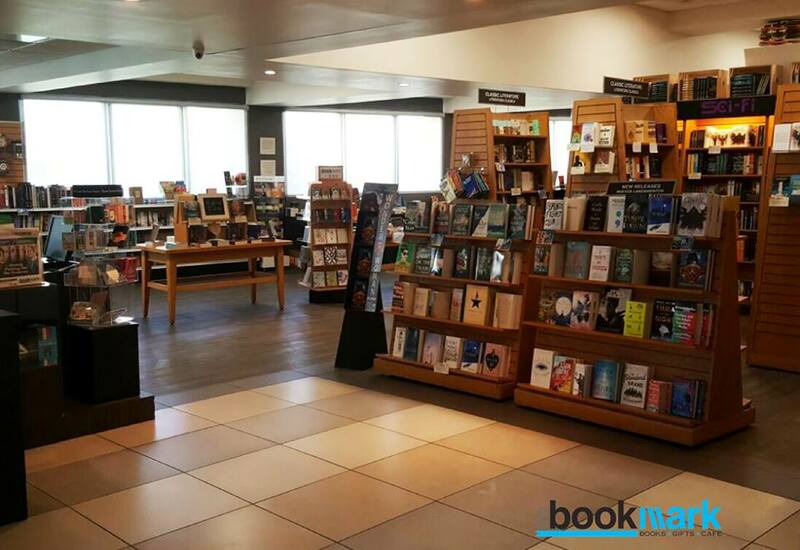 Last year, the Bookmark, which has one location in San Patricio Plaza in Guaynablo, opened the Bookmark Boutique, a partnership with Penguin Random House, in Carolina. The store stocks titles in Spanish and English, including children's/YA books, coloring books and graphic novels. 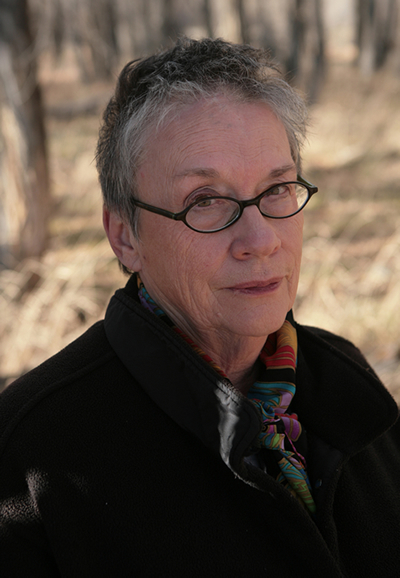 The National Book Foundation is awarding the 2017 Medal for Distinguished Contribution to American Letters to Annie Proulx "for her exceptional work and significant impact on American literature." She will receive $10,000 and a brass medal at the 68th National Book Awards ceremony and benefit dinner on November 15 in New York City. The award will be presented by actress Anne Hathaway, an avid reader and longtime advocate for women in the arts who starred in the Oscar-winning film adaptation of Proulx's short story "Brokeback Mountain." "Annie Proulx's work is widely loved and uniquely significant," said David Steinberger, NBF chairman, adding that the author's "deep reverence for the beauty and complexities of rural America has introduced millions of readers to the wide breadth of American life. Her commitment to crafting compassionate, honest stories has left an indelible mark on literature and created a powerful and enduring legacy." Lisa Lucas, NBF executive director, said that Proulx's "ability to explore the nuances of the human spirit and render deeply moving reflections on rural life have solidified her place in American Letters. In addition to her astounding literary accomplishments, film adaptations of Proulx's work have reached scores of viewers who may not have encountered her work on the page. We are honored to pay tribute to the extraordinary source material for these celebrated visual works, and, hopefully, to further grow the audience for Proulx's exemplary literary work." Proulx's books include the novels Postcards, The Shipping News, Accordion Crimes, That Old Ace in the Hole and Barkskins; short story collections Heart Songs and Other Stories, Close Range: Wyoming Stories, Bad Dirt: Wyoming Stories 2 and Fine Just the Way It Is: Wyoming Stories 3; and Birdcloud: A Memoir of Place. Her many accolades include the Pulitzer Prize in fiction, the National Book Award, the PEN/Faulkner Award for Fiction, O. Henry Awards Prizes, and a Guggenheim Fellowship for Creative Arts. She is the 30th recipient of the Medal for Distinguished Contribution to American Letters. Alan Curtis "Curt" Stewart, a key account executive at Macmillan, died on September 11. He was 63 and had suffered from leukemia. A key account executive working with Kroger, Hudson and Paradies, Stewart joined Macmillan in 2000 and originally worked with mass market titles but in recent years worked with all Macmillan titles. 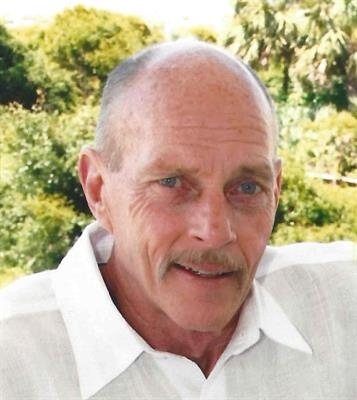 The company said, "Curt was a dedicated and enthusiastic salesperson who was beloved by his colleagues and his accounts. A true gentleman, possessing great manners, a devilishly wry wit and an endearing Southern drawl, he was always thoughtful with his comments and cared deeply about the company and our success. We lost him way too soon and he will be greatly missed by all who knew him." The family said that a celebration of his life will be held at a later date and requested that in lieu of flowers, donations be made to the V Foundation or the American Red Cross. 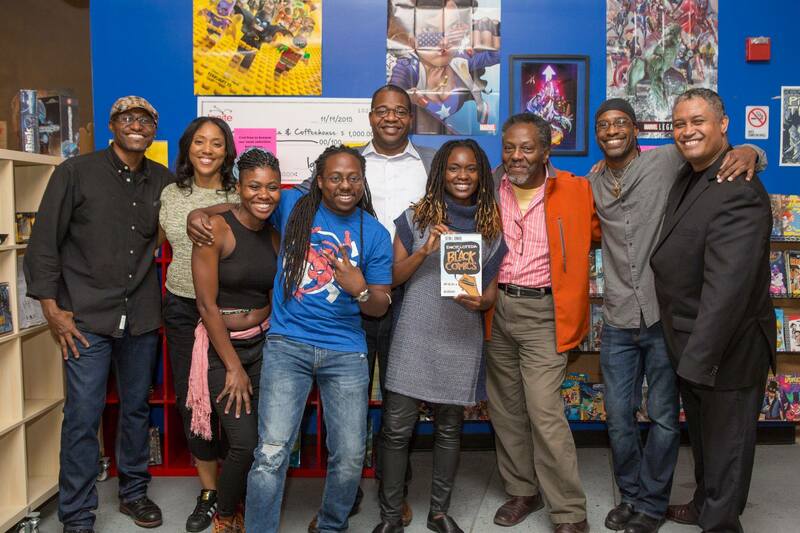 Amalgam Comics and Coffeehouse in Philadelphia, Pa. (the East Coast's first black female-owned comic book store) hosted the launch of Dr. Sheena C. Howard's Encyclopedia of Black Comics (Fulcrum). The book features more than 100 biographies of black artists, writers and publishers, with a foreword from Dr. Henry Louis Gates, Jr. and an afterword by Christopher Priest. Pictured (l.-r.) Eric Battle, Nicole Sherin, Ariell Johnson, Jason Richardson, James Peterson, Sheena Howard, Alex Simmons, Steven Harris and Walter Greason. 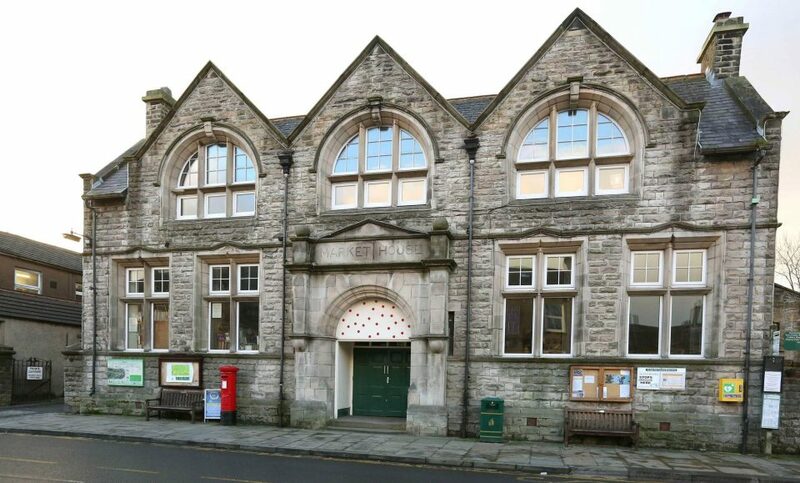 Meg Davis has taken over the former Bloomindale's bookshop in Hawes market house, renamed it the Old Library Bookshop, "and book-lovers will be delighted to know it's now free to enter," Richmondshire Today reported. She purchased the business from Steve Bloom, who gained international notoriety earlier this year for charging a 50 pence (about 65 cents) browsing fee in his used bookstore. He had been variously dubbed "Britain's rudest bookseller," "the bookseller from hell" and "the Basil Fawlty of books." "I hope that none of the people who have been trying to drive me out are claiming any kind of victory, because it isn't," said an unrepentant Bloom. "I have left of my own free will.... I will not miss the moaning." Davis, who will have an official opening October 17, hopes the shop can shed its bad reputation: "We're hoping we can turn a fresh page. We are really keen to make it a success and welcome old and new customers.... People are always popping their head around the door and saying 'do we have to pay 50p?' But we try to offer a warm welcome and there's a great selection of second-hand books, maps and DVDs." "We could not have had more fun at the bookstore last night filming this music video featuring new releases by Hillary Clinton," Scattered Books in Chappaqua, N.Y., noted yesterday in a Facebook post featuring the new video, It Takes a Village. Clinton offered a rave review on Twitter: "This video from my local bookstore @scatteredbooks in Chappaqua put a smile on my face! Love the soundtrack, too." Sales of What Happened must also put a smile on the author's face: Simon & Schuster sold more than 300,000 copies in hardcover, e-book and audio versions in its first week of sales. In addition, the book has gone back to press three times and now has 800,000 copies in print. 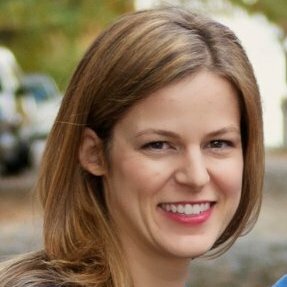 Laura Tischler has joined the staff as head of programming and will focus on producing Solid State's author/speaker series and other programming, as well as marketing, communications and developing partnerships with national and local organizations. She previously held public relations and marketing positions with Fundrise and the U.S. Department of State, and worked in the White House Situation Room. 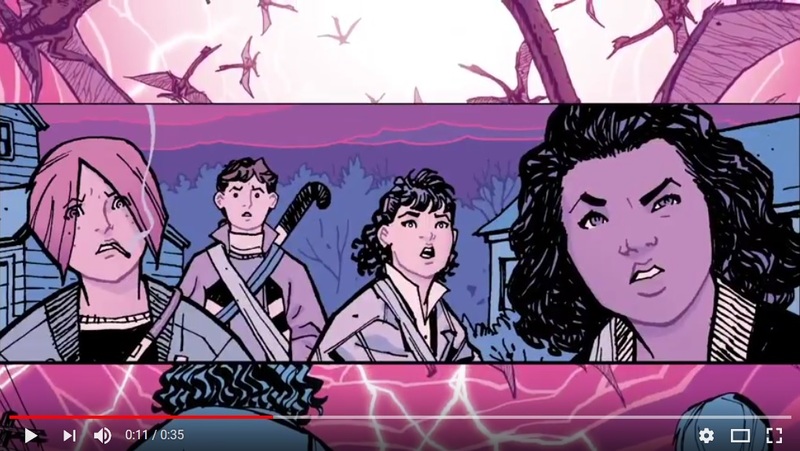 Paper Girls Book One by Brian K. Vaughan and Cliff Chiang (Image Comics). NPR's Science Friday: Kenneth Lacovara, author of Why Dinosaurs Matter (Simon & Schuster/TED, $16.99, 9781501120107). CNBC's On the Money: Patrice Banks, author of Girls Auto Clinic Glove Box Guide (Touchstone, $25, 9781501144110). Fox Business Network's Sunday Morning Futures: Ray Dalio, author of Principles: Life and Work (Simon & Schuster, $30, 9781501124020). HBO has given a formal pilot green light to and ordered backup scripts for Watchmen, based on the iconic limited comic series by Alan Moore and Dave Gibbons that had previously been adapted as the 2009 film, Deadline reported. The new project will be Damon Lindelof's followup to his HBO series The Leftovers. Warner Horizon TV, which also was behind The Leftovers, is the studio as part of Linderlof's overall deal at Warner Bros. TV. Testosterone Rex by Cordelia Fine, published in the U.S. by Norton, won the £25,000 (about $33,690) Royal Society Insight Investment Science Book Prize, which celebrates "outstanding popular science books from around the world and is open to authors of science books written for a non-specialist audience." Richard Fortey, chair of the judging panel, said: "A cracking critique of the Men are from Mars, Women are from Venus hypothesis, Cordelia Fine takes to pieces much of the science on which 'fundamental' gender differences are predicated. Graced with precisely focused humor, the author makes a good case that men and women are far more alike than many would claim. Feminist? Possibly. Humanist? Certainly. A compellingly good read." Judge and broadcaster Claudia Hammond added: "Testosterone Rex stood out from the start. It takes scientific research out of the lab and into our everyday lives in a way that's forensic, yet compassionate. Fine's entertaining, well-informed voice has made a cogent and important case for overhauling the idea that one molecule rules gender divisions. It made me question some of my own assumptions." The Evangelical Christian Publishers Association has announced 27 finalists in nine categories of the 18th annual Christy Awards, which "celebrate excellence in the art of Christian fiction and honor the power of story." The winners will be announced at an awards gala on November 8 in Nashville, Tenn. The finalists can be seen here. 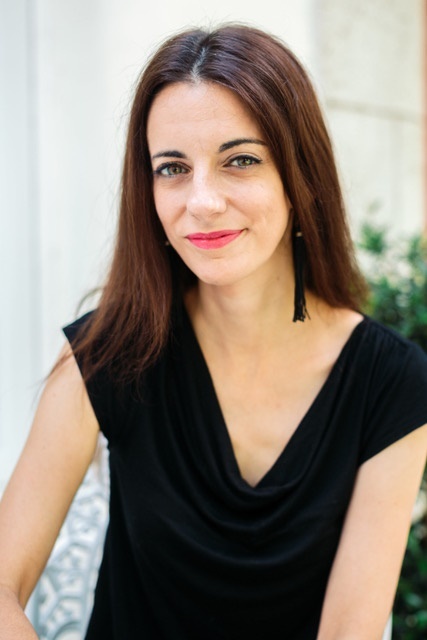 Chantel Acevedo was born in Miami to Cuban parents and is an associate professor of English in the MFA Program at the University of Miami. She is the author of A Falling Star, Love and Ghost Letters, which won the Latino International Book Award, and The Distant Marvels. 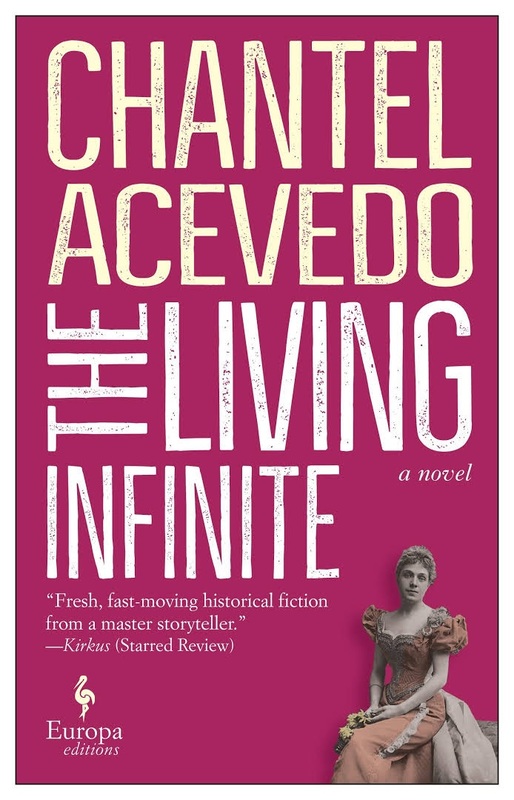 Her newest novel, The Living Infinite, was just published by Europa Editions. It's a mixed bag these days. I've got A Gentleman in Moscow by Amor Towles, which is rich in the kind of historical detail I love; a YA novel, When Dimple Met Rishi by Sandhya Menon, which is funny and sweet; and Edwidge Danticat's The Art of Death, which crystallizes these frightening and important feelings regarding the end of life. The first book I ever loved was There's a Monster at the End of This Book (and I still love Grover!). Then I discovered Anne of Green Gables by L.M. Montgomery. Somewhere between those two is my literary aesthetic. Only five?? How about six? Cristina García, Achy Obejas, Edwidge Danticat, Sylvia Plath, Hilary Mantel and J.K. Rowling. The Stranger by Albert Camus. I recall faking so well, in fact, that I aced a quiz on it in college. Marie Manilla's The Patron Saint of Ugly. The main character is incredibly compelling but flawed. The voice is funny, too, and the story has a frame narrative, which I just love. Dreaming in Cuban by Cristina García. That girl with the hibiscus in her hair and the pin curls called me over to the shelf like, well, a dream. It's the only book in which I can precisely recall the moment of purchase. Growing up in the '80s was great for a reading kid like me. My mother had all of these risqué books that I read when she wasn't looking--Princess Daisy by Judith Krantz, Clan of the Cave Bear by Jean Auel. But I think the one I read several times, breaking the binding, was V.C. Andrews's Flowers in the Attic. Cristina García's Dreaming in Cuban. Changed my path entirely. Showed me what was possible on the page for a Cuban girl like me. From Sandra Cisneros's The House on Mango Street: "She looked out the window her whole life, the way so many women sit their sadness on an elbow." Goodness. That's a beautiful line. I think about it all the time. My first copy of Anne of Green Gables (I have many). A copy of The Paratrooper of Mechanic Avenue by Lester Goran, who was my mentor; it was his first novel, published in 1960. Dreaming in Cuban signed by the author. Grimm's Fairy Tales and The Sword in the Stone (both editions from the 1960s). I went to see Sylvia Plath's home in Primrose Hill, London. I wasn't going for any kind of morbid or gruesome reason. She is my favorite poet, and I remember reading that she could hear the lions from the London Zoo from her home. I went there, straining to hear any growls, or grunts. Instead, when I saw the blue plaque with her name, my breath was knocked out of my lungs, thinking, Here she stood. Here she dreamed. Though he's produced only three novels in nearly 25 years, with a Pulitzer Prize to his credit for 2002's Middlesex, Jeffrey Eugenides's literary credentials are impeccable. It comes as good news, then, that he's finally delivered a collection of career-spanning short stories. Pleasingly diverse in their settings and characters, taken together the 10 vibrant stories in Fresh Complaint are unified in the consistent insight and enjoyment they offer. Eugenides has an affinity for characters whose lives are marked by longing for something more, a feeling that leads them into behavior that's foolish at best and self-destructive at worst. That's true of Charlie, the protagonist of "Find the Bad Guy," whose marriage of two decades to a German woman to secure her green card--"love at fifteenth sight, I guess you'd call it"--crumbles after his brief affair with a teenage babysitter. That scenario is echoed, but with an interesting perspective on the subject of romantic love, in the collection's title story, when Matthew, a visiting professor from England, encounters a young Indian American woman desperate to escape her family's plan for an arranged marriage. And in "Air Mail," a selection in Best American Short Stories 1997, an American named Mitchell pursues a dangerous fast to battle illness on a trip to Thailand. Thwarted dreams dominate two stories. In "Great Experiment," Kendall, a graduate of the Iowa Writers' Workshop and once promising poet, yields to the temptation to defraud his employer, a small publisher whose works include a "superabridged version" of Tocqueville's Democracy in America. "Wasn't scheming the way America worked?" he rationalizes as he joins his co-worker's plan. "Early Music" is the story of Rodney, another failed artist, who purchases an 18th-century clavichord that makes him feel he's "bringing Bach back to life and going back in time simultaneously," then faces repossession when he can't maintain the installment payments. But for these transgressions, there's wistfulness to several of the tales. "Complainers" is the lovely story of two longtime friends who draw inspiration from a book recounting an Athabascan legend about a pair of elderly women left behind by their tribe during a famine. "It's hatchet time" becomes their motto of mutual encouragement. In "Baster," Tomasina, a successful network news producer, reaches the age of 40 childless. Surveying the "ragtag gang of adulterers and losers, hit-and-run types, village burners" who might serve as a partner, she takes matters into her own hands. When Wally Mars, a former lover and the story's narrator, arrives at Tomasina's "Insemination Party," the evening takes a touching and entirely fitting turn. 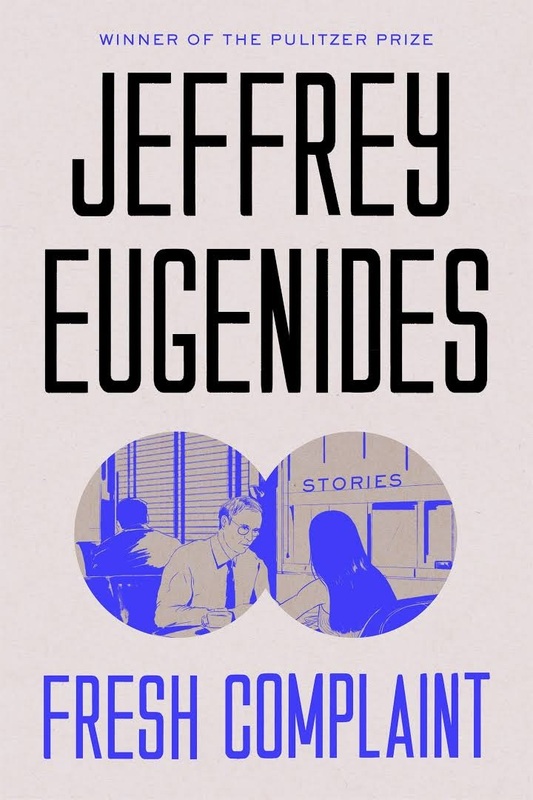 Shelf Talker: Written over the course of nearly 30 years, the stories in Pulitzer Prize winner Jeffrey Eugenides's first short fiction collection offer an assortment of revealing snapshots of human frailty. There are special moments at every book trade conference that compel you to pause and consider the extraordinary business we are fortunate enough to be part of. Quite often these moments are subtle, existing within the fabric of a show like a well-made seam. The New England Independent Booksellers Association's Fall Conference was held this week in Providence, R.I. I'll write about the show as whole soon, but for today I wanted to focus on one of those magical "seam" moments. Water Street Bookstore in Exeter, N.H., won the 2017 Independent Spirit Award, given annually by the Book Publishers Representatives of New England to honor the region's indie bookstore of the year. During the awards banquet on Tuesday night, BPRNE president Megan Sullivan introduced owner Dan Chartrand. He began his remarks with an acknowledgment of Exeter native John Irving, who was there to receive NEIBA's President's Award: "I am painfully aware that I am one of the speakers standing between you and hearing from one of our greatest American writers." And then the magic happened. Chartrand accepted the Independent Spirit Award "on behalf of our mission. About five years ago, [manager] Stefanie [Kiper Schmidt] went into a room with some of our core patrons and a couple of our best local authors and she came out with a mission. That mission was to build a vibrant and diverse community around the written word. Full stop. So, thank you Stefanie. We test everything we do against that mission, and I accept this award on behalf of it." He expressed his gratitude to several people who were part of the bookstore's founding group, including co-founder Bob Hugo, who died last year ("I miss him every day.") and the late Rusty Drugan, the longtime NEIBA executive director "who was my New England bookselling mentor and who drove me to found my own store." Smiling, Chartrand then looked toward the center of the Biltmore Hotel's elegant ballroom and a table that was occupied by Water Street booksellers. "You know, the bookstore is never closed except for weather events, but we closed our bookstore today at two o'clock because we have these amazing booksellers, who are here at the table." After an enthusiastic round of applause, he continued: "We closed so the angels that took that mission on five years ago and have made it their mission and their living could be here. I can't tell you how much I love you all and how grateful I am." He offered more praise for Stefanie Kiper Schmidt's contributions, noting in particular that "what I love most about you is that you are one of the greatest and most discerning and tasteful readers that I have ever met. And you write beautifully about your reading. I've never met anyone who writes as beautifully about reading as you. So thank you so much for being a part of our store. it's yours and mine." Readers and patrons of Water Street Bookstore were recognized: "Without them, obviously, we would not be a vibrant and diverse community.... And not just readers from Exeter, but readers from across the country and the world." Chartrand noted that when parents stop by the shop while visiting Phillips Exeter Academy students, "they walk away from our bookstore and they become lifelong fans. And that's really a testament to our booksellers. Having that diverse and vibrant and national and international patron group is just the most remarkable thing." He thanked authors, beginning with Irving and A Prayer for Owen Meany: "Thank you so much for writing that book. It has been a guiding spirit for me, especially that spirit of Owen Meany, in my work in the bookstore." He cited Ta-Nahisi Coates, "who wrote a book [Between the World and Me] a few years ago that commanded us to begin a One Town, One Book program in Exeter. And I want to thank Roxane Gay, who attended the Academy a number of years ago and in her most recent book wrote a searing passage that made me realize we have much work to do to build that beautiful, diverse and vibrant community in Exeter." Calling them "my two author mentors," Chartrand said Dan Brown and Joe Hill, while technically local writers, "teach us every day what it means to build community with their readers and their fans and they give us an opportunity to work in that space. I'm so grateful to both of them. And I'm also grateful to Howard Mansfield and Sy Montgomery, who are the very height of great New Hampshire authors." Finally, he thanked BPRNE members, calling them "the leading edge of publishers. And publishing personnel are such an important part of our diverse and vibrant community. Without you, we would not have the voice we have within the houses, and those voices that are being developed in the houses would not be transmitted to us without you. You are part of our beautiful community, and to be honored by all of you... is just the highest praise for all of us." Chartrand concluded with an inspiring observation: "We hear a lot about how what we do is hard. And there are moments when it is hard. But I contend that what we do is nothing less than to build the beautiful community in this country and around the world. The life of the mind. Finding dimension through these great works, like John Irving's work, is just the most beautiful work. And I believe that it is the closest we can come to heaven on earth." It's nice to be there... when the magic happens.